I’ve had this habit for years. I pore over cookbooks and websites for weeks leading up to the December holiday season. I pick one recipe to make for every food gift that I want to give that year. And then I spend all my time joyfully cooking and baking and wrapping. And then I never make it again. I mean, I know why I do this. I am always so excited about the next year, about the possibilities, and the new dishes to make! I want my friends and family to experience new things! But my sister was telling a story from a past holiday the other day, and tubs of this gingerbread popcorn was a major character. Which made me remember this popcorn and all of its glory. 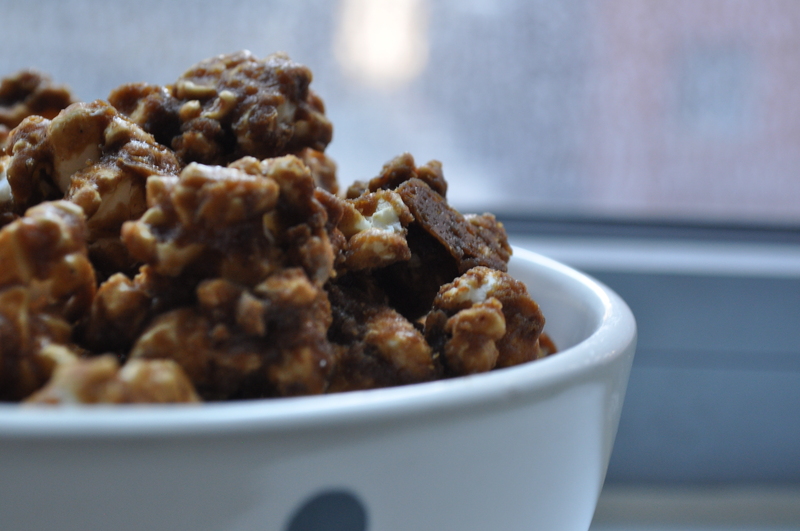 It’s like an overdose of caramel corn with some warm spices added to it. How did I only make this once?! So here’s to the s’mores fudge I made one year. The chocolate pistachio shortbread from another year. The spiced nuts, the peanut brittle, and the iced sugar cookies. 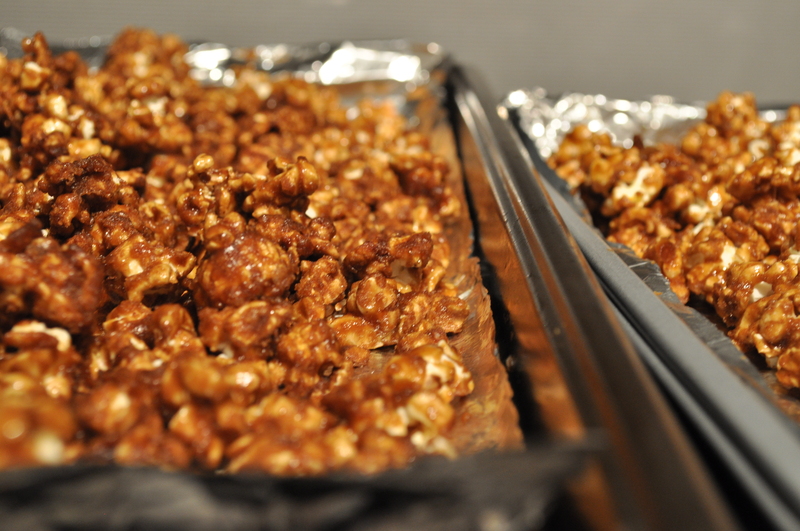 I’ll come back for you again one day, forgotten holiday desserts, just like I did with this popcorn. After popping the popcorn and measuring out the 15 cups, do a quick look and make sure that no kernels get into the final mix. There is just nothing jolly about that. Line 2 large baking dishes with foil and coat with cooking spray. In a large bowl, pour in the popcorn. 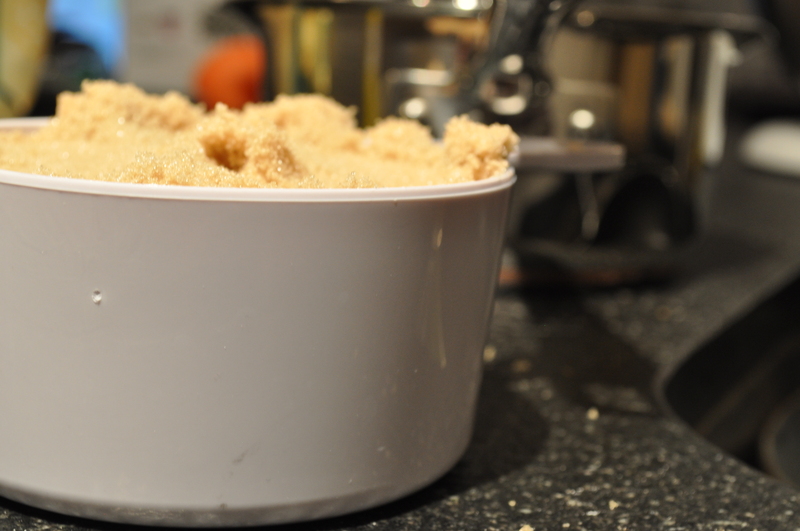 Combine butter, brown sugar, molasses, corn syrup, ginger, cinnamon, and salt in a large, heavy bottom pot. Heat over medium heat until mixture boils. Boil for a total of 5 minutes; stirring frequently. Remove from heat and stir in baking soda. 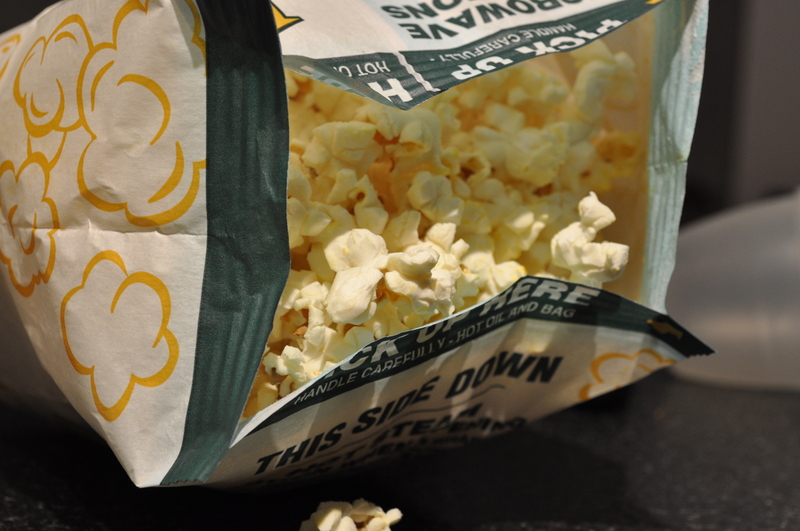 Pour over popcorn; carefully toss to coat. Pour onto baking sheets, 1/2 on each. Bake at 250 for one hour, carefully stirring the warm mixture about every 15 minutes. Cool completely on trays before storing or gifting. This entry was posted on	December 21, 2013 at 2:42 am	and is filed under Uncategorized.